Cargo lashing belt is a convenient strap to fix goods during transportation, but you need to know how to operate it safely at first. Here today, we will share some tips with you. 1. Only use no damaged cargo lashing belt. It is dangerous to use damaged cargo lashing belt. 2. Avoid being overloaded. You can see the capacity on the label, which clearly indicates capacity. 3. Do not tie and twist cargo lashing belt. 4. 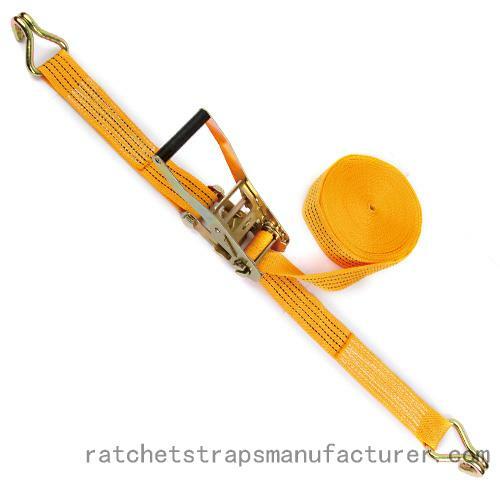 When using cargo lashing belt, you should try to keep away from the sharp edges of fabric from abrasion or cutting. 5. Do not place objects on the cargo lashing belt, so as not to cause injury. 6. Do not use cargo lashing belt as a load lifting adjustment.